Despite all the hoopla surrounding the growing army of daily deal websites, researchers at Rice University's Jones Graduate School of Business say the business model is standing over the coffin holding the final nail, and looking for a hammer. 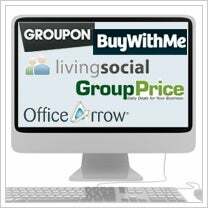 Utpal Dholakia, an associate professor of marketing at Rice, has released his third study on the daily deals industry called How Businesses Fare With Daily Deals: A Multi-Site Analysis of Groupon, LivingSocial, OpenTable, Travelzoo and BuyWithMe Promotions. The 31-page study looks at daily deals from these five major sites in 23 markets in the U.S. as well as 324 businesses that participated in a daily deal promotion sometime between August 2009 and March 2011. To sum up his exhaustive report, Dholakia says there isn't enough repeat business to make online daily coupon promotions sustainable in the long run. Among the "red flags" raised in the study is that nearly 80 percent of deal users (consumers) were first-time customers, and few of them (35.9 percent) spent beyond the deal value. Only 19.9 percent said they returned later for a full-price purchase. A surprising 21.7 percent said they never even redeemed the coupons they purchased. "The days of running a costly deal on an unfocused group-buying site with an audience full of bargain hunters is done," says Martin Tobias, CEO of Tippr, which touts itself as "the new wave in collective buying." While Tobias thinks the daily deals industry still has a pulse, he says it’s the niche and local publisher deal programs that will continue to gain momentum, as opposed to the big dogs, where aggressive contract terms, saturation by deal seekers and shaky financials turn merchants, investors and consumers off. The Rice study says less than half (48.1 percent) of storefront businesses using the daily deal promotion said they’d run another daily deal promotion, while nearly 20 percent said they wouldn’t. Another third said they’d have to think about it. When it came to the mainstay industries that use daily deals, only 35.9 percent of restaurants and bars said they’d do it again, and 41.5 percent of salons and spas would run another promotion. Of the businesses surveyed, 55.5 percent said they made money on their daily deal promotion, with another 26.6 percent claiming they lost money and 17.9 percent breaking even. The study did say that more than 70 percent of businesses in the health, services and special events industries claimed they succeeded in their coupon promotions. The Rice study suggests that merchants could begin offering products or services with a higher value ($50 minimum) and present coupons with far less than the 50 percent discount rate currently popular. In addition, the researchers recommend coupons be redeemed within 90 days or less, and that merchants place a limit on the number of coupons consumers can purchase. I’ve long suggested that savvy businesses can participate in daily deals by instituting a white label solution like those offered by ChompOn, AnalogAnalytics, Group Commerce, NimbleCommerce, AtCost, Deal Current, TownHog and PoweredByTippr on their own company website. Businesses choosing this route won’t be handing half of the promotion fee to a third party and they can keep better tabs on customers who show an interest in their product or service. Now, that’s keeping it in the family.